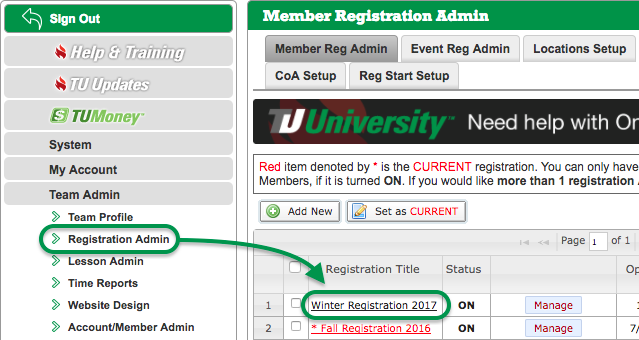 In this next section, we will help you customize the Account Setup and Member Selection steps in your registration process. In addition to the Title Page, these customizable areas are a great way provide additional information and content to greet, instruct, and thank your parents for signing up for your team. Click the Page Setup tab. Add or edit content in the boxes. These are rich text boxes and you can input text, formatted text, images, or HTML if desired. 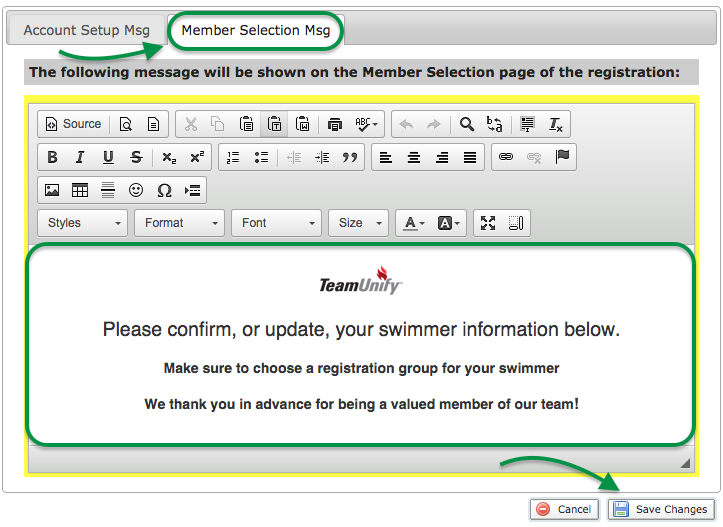 Now you have customized your Account and Member pages within your Online Registration. 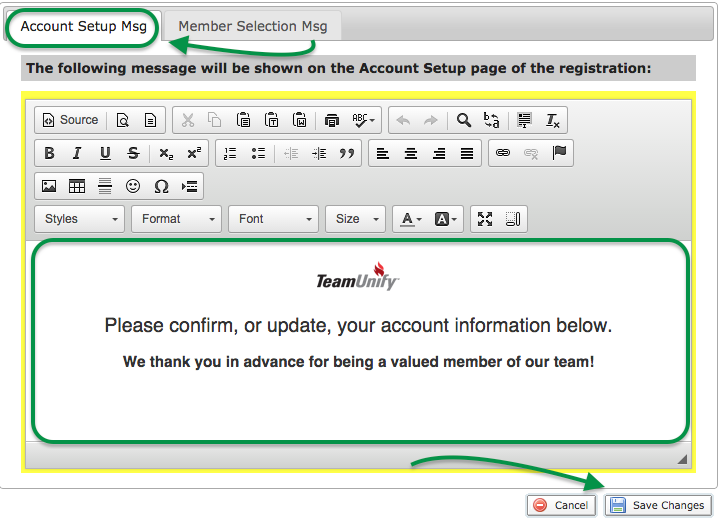 In the next lesson, we will take you through how to test your complete registration.